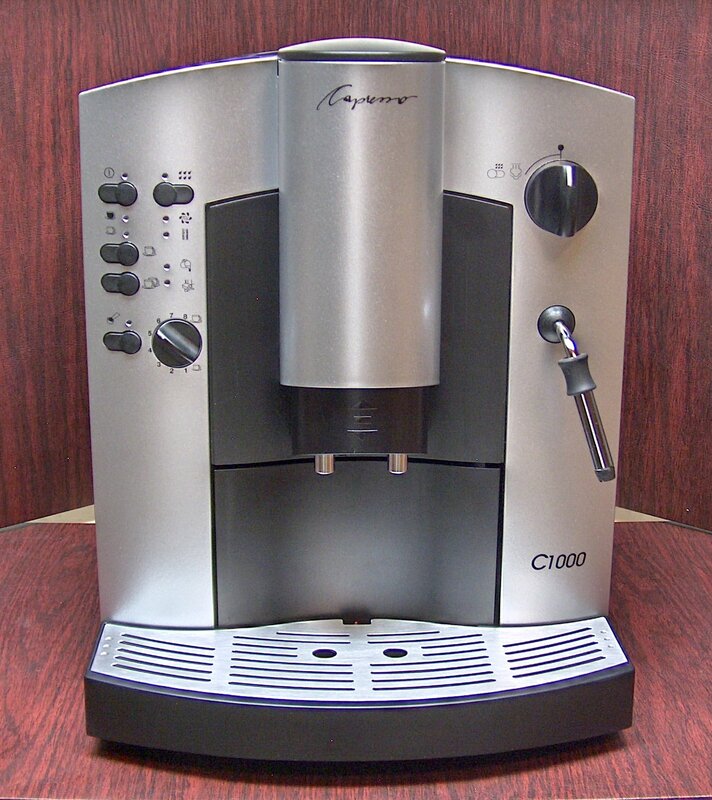 > Jura-Capresso C1000 Super Automatic Espresso Machine! Instruction Manual sent by email. Thermocoil boiler is fast, durable and provides excellent heat retention for consistency. Dual Frother Nozzle – Steam and Froth positions. 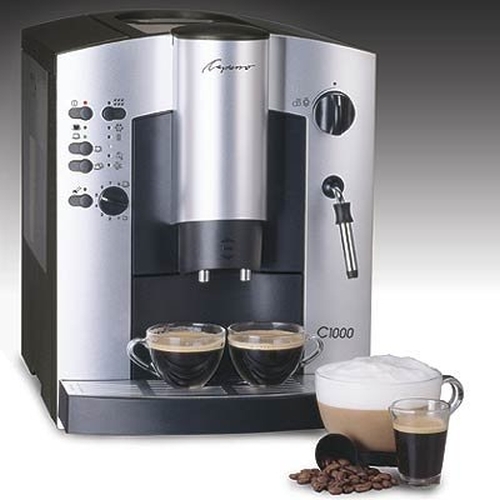 Pre-set buttons for single & double shots, mild or strong coffees. Dial selector for custom shot sizes from 1/2 to 8oz and up to 16 oz for two cup button. Series of symbols with lights guide the brewing process, alerts and programming information. Auto shut-off option from 2 to 5 hours. Full dump box indicator – hold up to 16 spent portions. 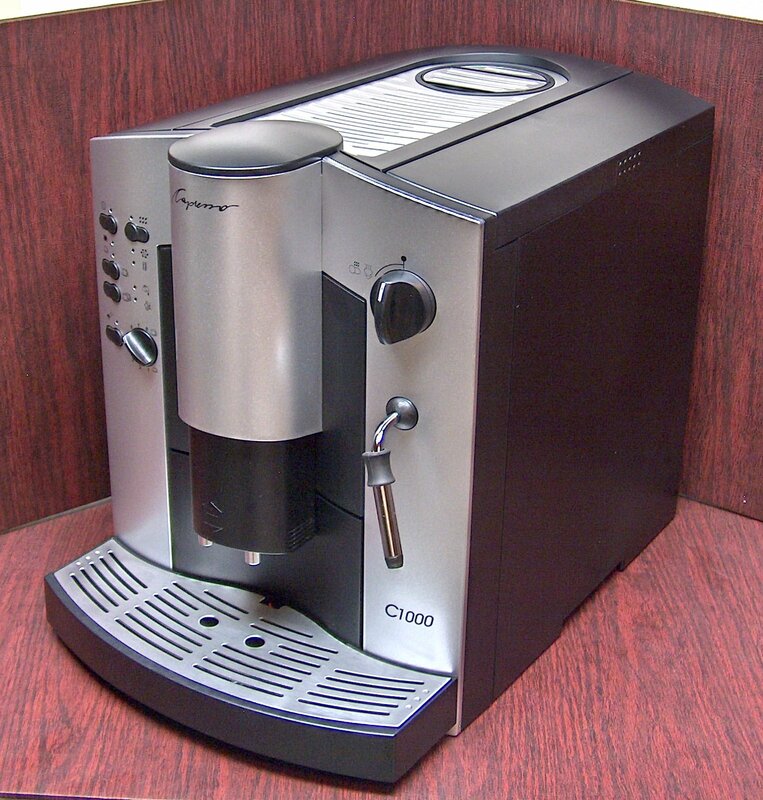 Automatic descaling cycle for non-filter use. 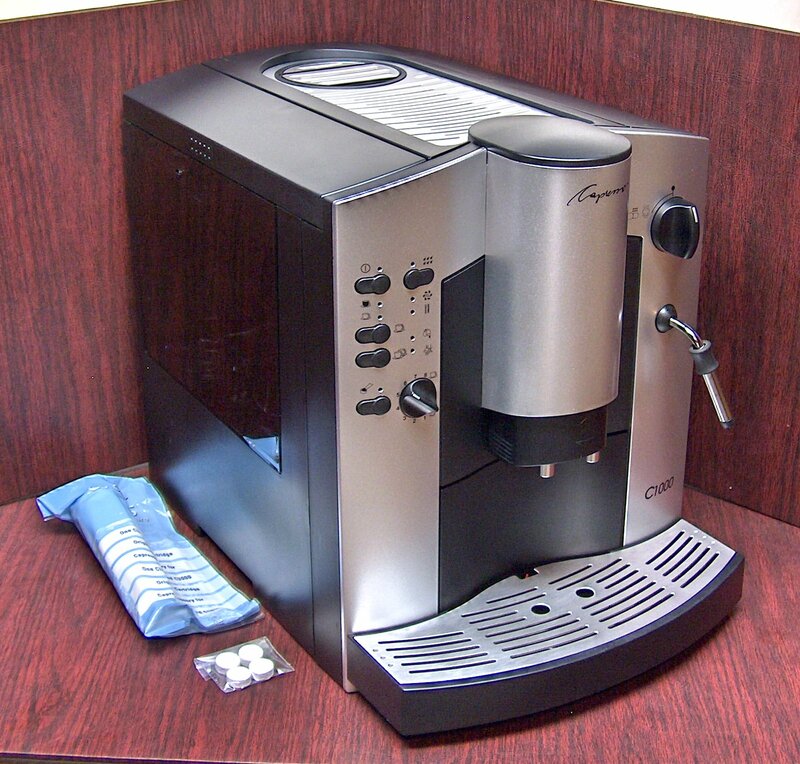 Drip Spouts can be adjusted from 2-1/4” to 3-3/4” for espresso cups to coffee mugs. Hot water on demand - continuous. Four level water hardness selector - Measuring strip included. Beautiful black & silver finish.